In this article, we’re going to set up a Laravel API with Angular Material for the front end. We’re also going to follow best practices that will help us scale with the number of developers working on the project and the complexity behind it. Most tutorials cover this topic from another perspective – they completely forget about scaling. While this tutorial is not targeted at small todo apps, it is extremely helpful if you’re planning to work with other developers on a big project. 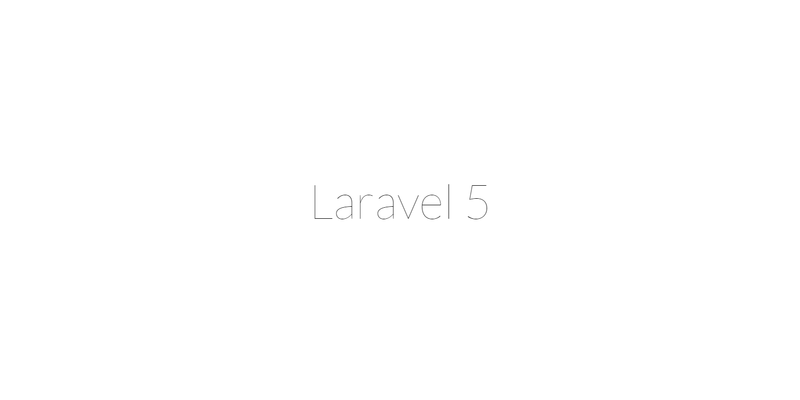 We’re going to start by pulling in the latest Laravel – 5.1 at the time of writing. All the subsequent commands will be ran inside the myapp directory. Throughout the remainder of this tutorial, we’ll assume you’re running a Linux environment if you’re following along. If you aren’t you’re encouraged to install Homestead Improved as a virtual Linux environment in which to follow along. Laravel debug bar is one of the most useful Laravel packages. Refresh the page and you should see debugbar at the bottom of the page! Debugbar runs automatically if you have the APP_DEBUG flag enabled in your .env file. Laravel’s Elixir is a layer on top of gulp that makes it easier to write gulp tasks. We’ll start by installing gulp globally. Note that you need nodeJS installed for this section. I like to use Bower because of its flat dependency tree, but that’s really up to your preference. You can use npm, requirejs or just the plain old browse-to-url-and-download-and-then-manually-check-for-updates. and run bower init to create a new bower.json file which will be committed in the repository. Then, we want to choose a location for Angular within our Laravel folder. Most people prefer to add it to resources/js but since I prefer to have a folder by feature architecture, we’re going to create an angular folder at the root level. I chose this setup because we want it to be able to scale with the number of developers and with the business complexity behind it. Compare this to having to open a folder for each of these files when debugging a single feature. Now we need to configure elixir to compile a js/vendor.js and a css/vendor.css file from the bower_components folder. validates with jshint (if the .jshintrc file is available). If the file is available, it won’t recompile our source code if your code does not pass validation. We need to compile our less files. If you’re using Sass, you probably know how to make it work for Sass. We also need to copy our views from within the angular directory to the public directory. Finally, we are going to set up livereload. Soft reloads are used for CSS, meaning that a newer version of your css will be injected without reloading the page. // Main file has to be included first. These 2 gulp tasks might look a bit complex, but you don’t have to worry about that. You’re here to speed up your development process rather than wasting time setting up build tools. The reason why I’m not using some of the available node modules that are available online, is because, at the time of writing, they are slow and often limited in terms of functionality. Enjoy! We can now run gulp && gulp watch. We need to create a new controller using artisan. This seems useless at first, but I like to keep the logic outside the Routes file, so I prefer not to have closures there. Eventually, we’re going to use this controller for other methods, like the unsupported browser page. Angular Material is targeted at evergreen browsers, so we need to add a page for unsupported ones ( IE <= 10 ). Finally, we create the unsupported.blade.php view and output a message telling the user that they needs to upgrade to a modern browser. Angular Material is an implementation of Material Design in Angular.js. It provides a set of reusable, well-tested, and accessible UI components based on the Material Design system. Finally, we re-run gulp watch. 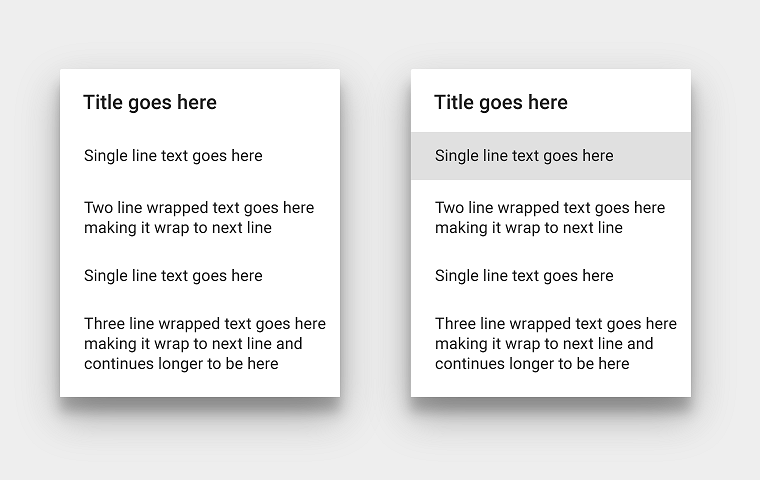 You probably love the feel that Angular Material gives to your app, but you’re worried that it’ll look exactly like Angular Material. ui-router is the de-facto solution to flexible routing with nested views. Then, we re-run gulp watch. Now, whenever you need to add a new page, you just have to add a new .state(). Restangular is an AngularJS service that simplifies common ajax calls to a RESTful API. Restangular is a perfect fit with our Laravel API. Let’s set up a sample API endpoint. A toast provides simple feedback about an operation in a small popup. Dialogs are one of the most useful features available in Angular Material. They’re very similar to Modals in Twitter Bootstrap. fromTemplate(template, $scope) creates a dialog from a template stored in /angular/dialogs/. Useful for Login, Reigster, etc. dialogs. You can create your own component inside the /angular/dialogs/ directory using the same folder by feature approach. You can also pass $scope to the dialog, which will give you access to the $parent scope from within the dialog’s controller. Here’s a plain bash script that we’re going to use for deployment. You can save it as deploy.sh. You’d just need to prepend it with an ssh command to your server ssh@your-domain. The first two commands clear the route and configuration cache, which will then be generated again after pulling the new code. This will greatly improve the performance of your app when running in production. Don’t forget that any configuration/routing change you make will not take effect until you clear the cache again. Enforcing code quality helps the maintenance of big projects. You don’t want to end up with a terrible code base a few months from now. This is completely optional, but I’d recommend you set up some automated code quality tools. EditorConfig helps us maintain a consistent coding style between different editors and IDEs. This is especially useful when you have many developers/contributors working on the same project. You don’t want someone to push code with spaces instead of tabs, or vice versa, CRLF as line endings instead of LF, or vice versa. Let’s create the.editorconfig file at the root level. Feel free to switch between CRLF and LF, tabs and spaces, etc.. it all depends on your coding style. Depending on your code editor, you might need to download a plugin for editorConfig. This is also convenient when you are working on more than 1 project using the same text editor and each project has different coding style guidelines. It also enforces coding conventions on your team. We need to create a .jshintrc file at the root level of the project. You can browse the available options for jshint here. Note that when you add a .jshintrc file, the angular task we have in our gulpfile will not recompile our code if it doesn’t validate according to jshint. Here’s a recommended jshintrc for our scenario. Feel free to modify it according to your coding style. We’re going to create a .jscs.json file at the root level. Feel free to modify it depending on your style. Just like jshint, we need to be able to enforce code cleanliness and consistency for our PHP files. The cool thing here is that we can use PSR2 as a coding standard which is used by Laravel, so we don’t have to set up a custom configuration file. Jshint and jscs are great tools, but they need to be automatically enforced or else we’ll forget to lint our code. You can optionally install the corresponding linter plugins for your text editor or IDE, but one of the recommended ways of doing it would be to run these linters as part of your git commit process. Then run chmod +x .git/hooks/pre-commit. Don’t forget to add this for each developer who joins your team, and every time someone pushes, they’ll be automatically warned of possible issues. This article helped us set up a scalable Laravel and Angular Material app. You can also grab the source code of this tutorial on github: laravel5-angular-material-starter. If you’ve been using Angular with Bootstrap, I’d recommend you give Angular Material a try. Do you have any questions? I’d love to know what you think. Just let me know in the comments! Jad is a Google Developer Expert and fullstack teacher. He's on a mission to inspire developers around the world by coaching at Le Wagon coding bootcamp and regularly speaking at international conferences. Lately, Jad's focus lies on spreading knowledge about Progressive Web Apps and mentoring developers through online courses, blog articles and workshops for startups & enterprises.